I never pegged myself as a fan of Young Adult fiction, but I am coming to learn that I just have a distaste for Young Adult fiction that incorporates supernatural elements. I loathed Twilight, but I loved The Fault in Our Stars. The Tiger’s Curse was a painful, painful experience, but The Absolutely True Diary of a Part-Time Indian was truly delightful. Delightful feels like the wrong word to use here, because the story is something of an emotional roller coaster. Nevertheless, it is well-written with an unforgettable narrator, and for that reason, it’s something that young adults should be reading.Alexie tells the story of Junior – a fourteen-year-old Native American boy born with hydrocephalus. I know, I know – this is the set up for another melodramatic tale of teenage angst. Diary is, in many ways, a tale of teenage angst, but it is told by a teenager who doesn’t take himself too seriously. Junior’s narration is hilarious. He suffers from a lisp and a stutter, his family is poor, and he is bullied because of these things. Junior dwells on the good in his life, though. Sure, his family is often hungry, but that makes food taste that much better when it is available. And when it comes to his personal issues, Junior comes to realize that the only way to make something of himself is for him to transfer out of the reservation high school to the nearby predominantly white high school. Thus Junior embarks on a journey through the typical problems associated with high school, and these issues are magnified by his outsider role at his new school. Junior gains acceptance, and ultimately makes new friends and rectifies relationships with old ones. It doesn’t sound good; rereading my synopsis, I fully recognize that The Absolutely True Diary of a Part-Time Indian sounds like a sappy mess. I assure you, it is not. 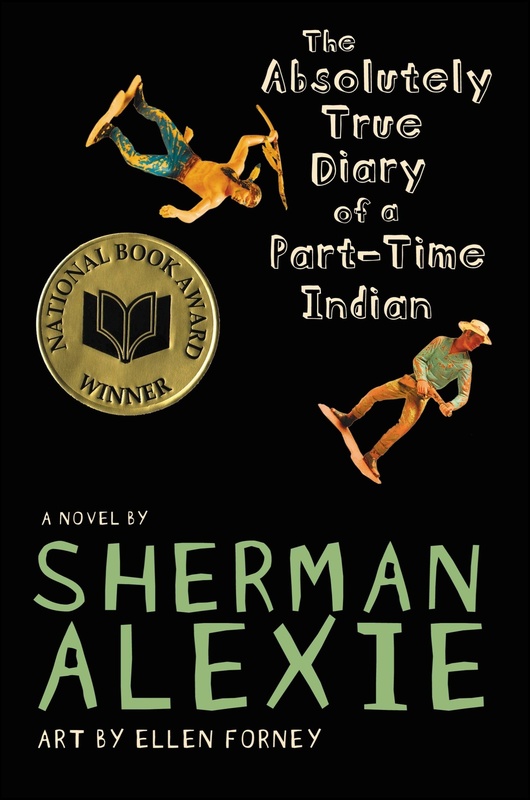 Alexie doesn’t dodge the stereotypes that tend to come with the territory in Native American novels. Junior’s father is an alcoholic, yes, but this isn’t an overwhelming aspect of Junior’s life; it is merely a fact that Junior accepts and lives with. Junior’s family struggles with poverty, but he doesn’t use that as an excuse. I often found myself laughing out loud at Alexie’s writing style, and I was definitely sobbing by the end. Alexie has a flair for genuinely expressing emotions, which is a rarity in novels of any genre.